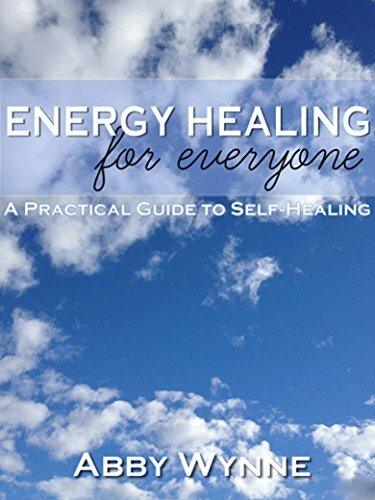 Energy Healing for Everyone – My first book! Have you ever wanted to heal yourself but didn’t know where to start? Would you like to become more connected to your inner wisdom, your heart, and to nature, but can’t afford expensive workshops or healing sessions? Now you can learn how to heal yourself, for life! My passion is to bring Energy Healing to a wider audience, in an affordable, intelligent and compassionate way. This is my first book. how to reduce anxiety and stress in your body. how to “send” healing to friends, families, and even to situations. how to use energy healing through all the hours of your day. I will teach you how to connect to a natural source of healing energy. I have many clients who come to me and say that they have read many books, they know in their heads what to do, but they just don’t know how to do it. They inspired me to write this, to bridge the gap. the power to accelerate healing in your physical body. tried and trusted methods to help you come into balance and feel better about yourself and about life. Through meditations and visualisations i will show you how to ground yourself, how to open to a source of healing light, and how to use this source of healing during your day to day activities. You no longer need to pay for expensive workshops to start healing yourself right away! I know that thought plus belief creates….and that energy follows thought. Abby’s book helps you bring these energy healing elements into your life as a constant and not just a once in every blue moon. I am especially partial to the morning coffee affirmation ritual now instead of the old gulp and run. This is a beautifully presented book by Abby Wynne who clearly knows a thing or two about energy healing and is able to impart her sound knowledge to the reader, even an absolute beginner, in a simple, beautiful and gentle way. Thank you Abby, you have given us so many things to think about and work on. The exercises are easy to follow, I’m already feeling a difference after only a short time. It really is a superb book and an excellent addition to anyone’s library if they are interested in this subject. I’ve read your book – I am using your meditation techniques with my clients. I love the way you have laid it out by the different times of day. They love it too. I use it myself all the time, I just open to a page and try that exercise for a day or two, until it sticks. I love the variety. I too have the book and I find it very relaxing just to read and look at the beautiful pictures. She has a lot of wonderful meditations in it. If everyone could read and start using the exercises in your book, the world would be a lot better off. By having a Daily Spiritual Practice, you stay balanced, centred and calm more of the time.